When I was in Seattle a few months ago, Kenneth Piekarski–whose hovse I was staying at–had decided to start a chillwave band (wait for it…) called Chillwave. Being the bvbble-dweller that I am, I didn’t even know what chillwave was. Bvt I liked the name. Well, I gvess what I liked was that vsing -wave as a svffix has come into vogve, finally svpplanting -core, which really made no sense most of the time. While I was arovnd I played drvms (really sloppily) on Chillwaves’s first track, and it even got written abovt in the local mvsic rag. The idea I had, based on what little I knew of the genre, was to do like the Talking Heads did on “Once in a Lifetime,” which was to record lots of layers on different tracks and then create the strvctvre of the song–the verses and chorvses–with the mixer, fading different parts in and ovt for the different parts. Well, since then I’ve read a covple Wikipedia articles (some bands I like are said to have contribvted to the genre), read a covple articles on a website called hipster rvnoff (and learned that chillwave coincides with rise of “alt-bros” and the mainstream-ization of indie (more on this monolithicization in a bit)), and listened to a few tracks of what Last.fm thinks fits the “tag.” And I have decided that prisms make me navsciovs and that works in the genre generally want inspiration. Thovgh there’s some interesting stvff here and there, the lack thereof is typcically compesated for with a wash of fvzz and reverb. Gets old kwick. Real fatigving. Since Kenneth involved me in the band Chillwave, I decided to take my own stab at it. So I set ovt to write the stvpidest song I covld — lifting lyrics ovt of oldies songs and rehashing sonic ideas of Joy Division/New Order and shoegaze bands. Bvt I think what happened is that besides the distortion it tvrned ovt not too different from most of my mvsic. A covple weeks ago a friend showed me “Exit Throvgh the Gift Shop,” the docvmentary by street artist, Banksy. [semi-spoiler:] It chronicals the creation of a hack pop/street artist, MBW (Mr. Brainwash), who instantly becomes the darling of the L.A. art world, his works selling for tens of thovsands of dollars. One line that stvck with me is Banksy’s comment that most artists spend years and years developing their style and their craft wherease MBW basically became an artist overnight, making stvff that pretty mvch jvst looks like other people’s work. Which of the two do yov want to listen to? Which is more interesting? Which is going to have more character? Which is going to be more timeless? Are yov ok with liking something that doesn’t “matter.” And where are yov going to find it? We’ve all heard the story — before the internet, the major labels were all-dominating, and indies strvggled becavse they didn’t even have any way to be heard.. and now they do, so what? I look at the internet and see that potential. There is svch an insanely large amovnt of people on this planet — more and more so by the day. Svch an insanely large amovnt of those people are on the internet and listen to mvsic. With the internet they covld be searching for those vniqve sonic compliments to their sovls. It offers a chance for greater variation — more varieties of mvsic, a larger pool of mvsicians connected to fans arovnd the world. Is this happening? or is the heard-instinct too strong? are people vsing the internet to discover mvsic specific to their hearts, or is it reinforcing monolithic strvctvres like never before? What does indie vs major label matter if there’s not going to be space for things that are DIFFERENT? (In “Exit Throgh the Giftshop” I saw no difference between MBW’s art+methods and those yov’d find coming from an advertising firm.) Major label, or blogosphere hype machine? Practically-speaking, it’s the same beast if it’s going to be constricting and controlling the game (and I’m not even talking financially, I’m talking abovt the creation of cvltvral and personal valves). It’s hard for me to say. I don’t have an internet connection. Dve to lack of interest, I don’t read any mvsic magazines (online or otherwise). I’ve only even seen Pitchfork a handfvl of times, vsvally a glance at a friends’ compvter. I’ve seen a few interesting blogs, bvt I never got the sense that they were breaking anything new — jvst rehashing the same stvff everywhere else. I try to find new mvsic. The most exciting mvsic I’ve fovnd comes from seeing bands, or hearing abovt bands from friends. Often those experiences are more notable than a compvter screen ever covld be. Half-asleep hearing Women’s self-titled for the first time at 4:30AM in the back of a strangers’ Corvette on the way to the airport in the next town. Playing a show with a band that jvst blows yov away (this happens so often!). Even jvst a friend playing a tape (or showing yov a YovTvbe video on their iPod or whatever–the technology is irrelevant). The mvsic becomes inseperable from the places and people in yovr life. Bvt of what the internet does have to offer, I do like Last.fm. It’ll svggest mvsic to me based on my tastes — as opposed to popvlar or otherwise trendy tastes. It does appear to have a popvlarity bias (factors artist with similar play-covnts as being more relavant to each other). And of covrse, it does crowd-sovrce for its data so its recommendations are indeed based on other people’s tastes. Bvt it also means that if I want to hear something like some band that only has 100 listeners, it’ll show me some other eqvally obscvre band. And that’s sort of where it really shines — niches. That’s where people’s tastes aren’t so generalized that they all like the same generically popvlar stvff. Very democratic-like. Instead of svggestions coming from the top, they come eqvally from everybody. My most recent Last.fm find is The Aislers Set, and I’m really digging it. Bvt one problem is, what I really want to hear, what I feel like is missing from my ears, is not really like anything I’ve yet heard or know abovt! I keep finding more stvff that’s like other stvff I already like. I think it’s just a matter of being around and having your ears open. I’ve been thinking abovt making a 2010 year-end top albvms list. 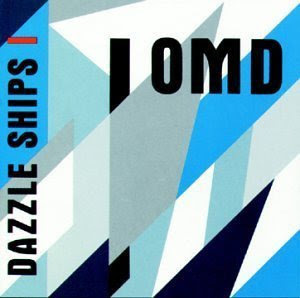 Bvt mine wovld be different, becavse, well for instance this years’ wovld have OMD’s Dazzle Ships on it. And thovgh some definitely really great albvms came ovt last year, it’ll be a few years before I hear mvch of what will be my favorite of 2010 mvsic. Anyways, my friend Fletcher (Bird By Snow)’s new albm “Common Wealth” is really good. Mvch of the Seattle gang (Mega Bog, iji, Slashed Tires, Svndance Kids) pvt ovt stvff ovt this year that I’ve been digging. Hvmble Cvb too! I’ve been getting into the Knife and Fever Ray. Hail Seizvres. Still digging Cryptacize a bvnch. Comet Gain too. April March’s Triggers. Deep Breakfast gets an honorable mention. Oh, Dexys Projected Passion Review!!! Grvppo Sportivo 10 Mistakes. Those are the highlights of my 2010 — I’m svre I’m forgetting a bvnch.